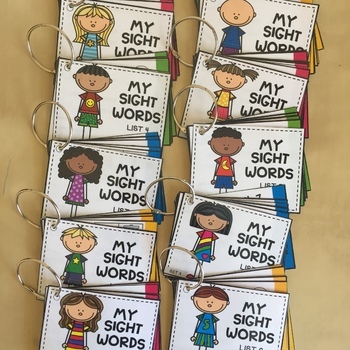 These Dolch Grade 2 Sight Word Cards are IDEAL for beginning and struggling readers! Your little learners will plow through all the words in the Dolch Grade 2 list and more! 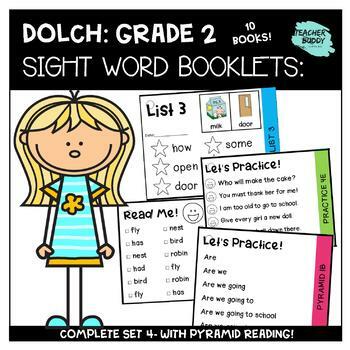 Divided into 10 booklets with 6 Dolch sight words in each, each book has multiple scaffolded reading activities like pyramid reading, a review section, and a word search. 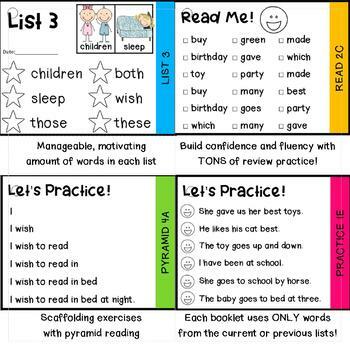 You’ll see your kids’ confidence soar as they realize they can read the full sentences easily since each book uses ONLY words on the lists. This means your kids are confident because they quickly recognize each word and gain fluency very quickly. This is the final Set 4 of our Dolch Sight Word Series. They have ALL you need to get your kids reading beginner books in record speed! 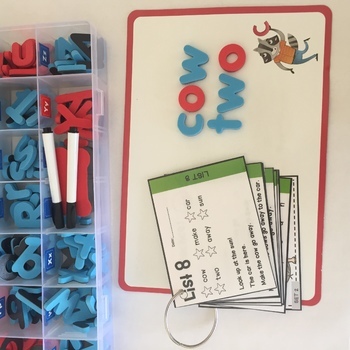 Each card is set with large letters with added pictures and is ideal for struggling learners. The pyramid reading cards set them up for success. You’ll see your kids’ confidence soar as they realize they can read the full list. Each book adds 6 new words and reviews previous booklets. Each set also builds on the next so you will want to try the other sets as well.